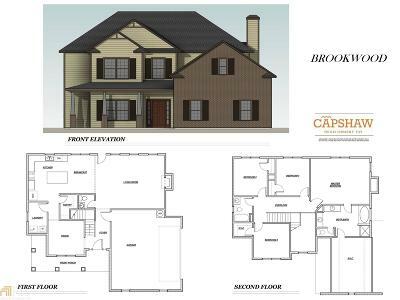 CAPSHAW HOMES presents the BROOKWOOD at Jackson Bridge! This 4BR/2.5BA home w/2,488 sq ft of living space features an open floor plan, formal dining, great room w/an abundance of natural light, kitchen w/granite counters, tile backsplash, & stainless steel appliances. Master suite w/vaulted ceiling, bath w/dual vanity, garden tub w/tile surround, & separate shower. 3 additional bedrooms on 2nd level w/vaulted ceilings. Standard features include Luxury Vinyl Plank flooring on first floor common areas, smooth ceilings, wood-burning brick fireplace w/brick surround, & 9ft ceilings on main floor. 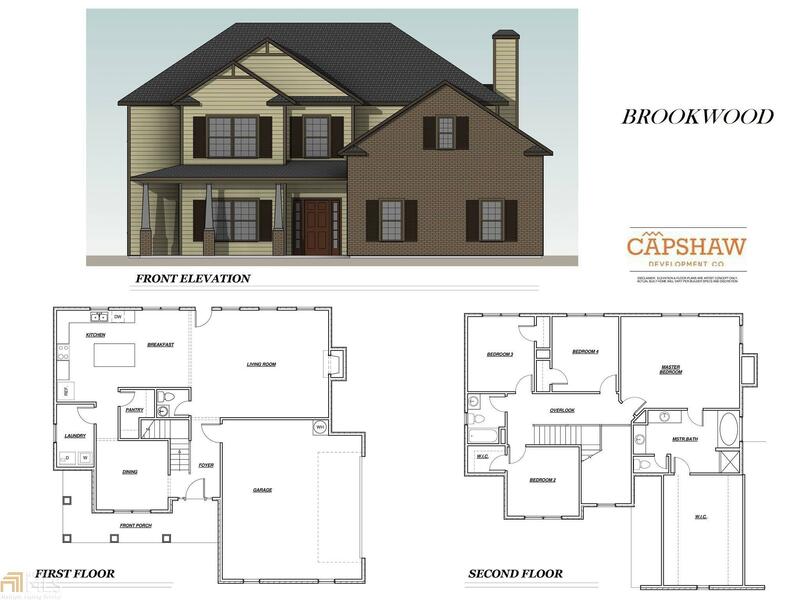 The quality workmanship of a Capshaw Home is backed by a 2-10 HomeBuyer&apos;s Warranty. Lot sizes up to 2 acres! 1.4 miles to Jackson Lake! Estimated completion late Feb.